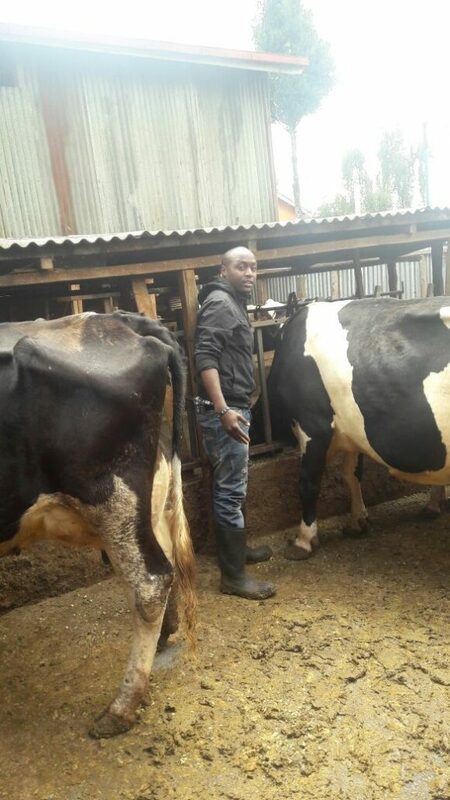 Starting a Dairy Farm: BY BIKO KITHINJI: How do you go about starting a successful farming venture for dairy cows? 1) Make a business plan. Do a SWOT analysis of yourself and the cattle industry you will be entering. Plan what kind of cows you want looking at breeds, and what kind of farm you wish to operate. Keep in mind to start small.Try to aim for being a low-cost producer, as that is the surest way to make money, and the best way to start if you don’t have much to begin with! 2) Locate the area where you want to raise cattle.This is important because you need to find a location that you are used to or really like and are confident you can raise your animals in. 3). Research then purchase the type of facilities, equipment and machinery necessary for the type of cattle you have chosen to raise. Analyze your operation and your financial situation to see what you need (not what you want) for current facilities, equipment and machinery. Fencing, watering facilities, feed bunks/troughs or bale feeders is priority above all other assets needed. 5). Determine the amount of pasture that will be required for the breed of cattle that you have selected. Decide whether the land you already own is sufficient or if you will need to purchase or rent additional pasture. 6). Start keeping good records of finances, breeding/calving, health/vaccinations, purchases/sales, and assets in your operation. The most important records are your financial records, because these records determine whether your operation is giving you net income or loss. 7). Most of all, have fun! It’s a demanding lifestyle, but you will forever be learning lots and be kept busy with feeding and maintaining the health of your cowherd and generating Profits. Previous articleToyota Hilux vs Nissan Navara vs Mitsubishi L200: Which is the best buy?